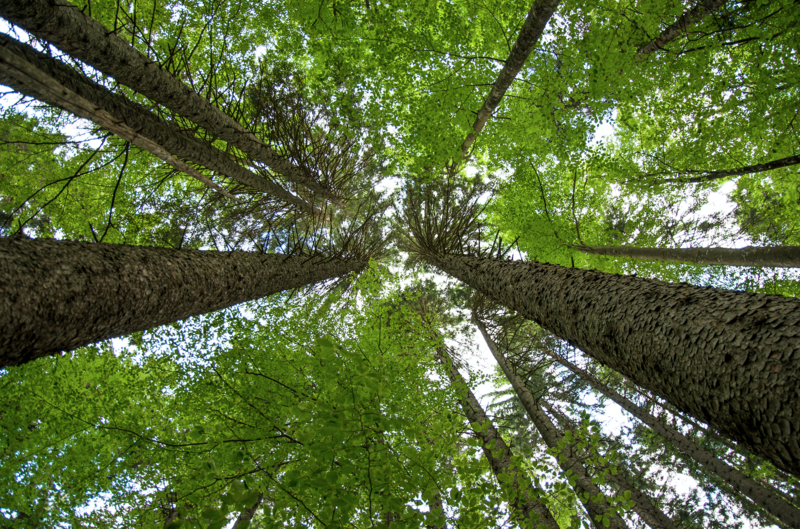 EIT Climate-KIC is to launch an ambitious forestry innovation programme combining bio-economy, conservation and sequestration approaches to help deliver European mitigation targets. Like CSA Booster, the programme will be developed and delivered under EIT Climate-KIC’s Sustainable Land Use theme. The new programme will aim to bring more of Europe’s privately owned, unmanaged forests into sustainable production through increased investment, new forest management techniques, the use of advanced geo-data for monitoring and traceability, and the creation of bio-based wood construction value chains to replace fossil-based material use. The plans are underpinned by a body of new research initiated by Climate-KIC and partners including leading institutions Wageningen University (Netherlands), INRA (France), Lund University (Sweden), and I4CE (France). Released today on UN International Day of Forests (21 March), EIT Climate-KIC and the future of the forestry sector, suggests that forests currently account for around 10 per cent of Europe’s total greenhouse gas mitigation efforts, but innovation could double this impact by 2050 if afforestation is supported, forest management is improved and fossil-based construction products are substituted with wood-based ones. The report underlines how greater collaboration and knowledge-sharing between public and private decision-makers is needed to deliver climate-smart forestry solutions that go beyond simple carbon sequestration. A systemic approach to sector innovation is vital for EU forests to adapt and play an enhanced role as carbon sinks and carbon stores. This includes encouraging greater substitution of fossil carbon products like cement and plastics with wood and bio-based products, argues EIT Climate-KIC Chairman, Anders Wijkman. Through its forestry programme, Climate-KIC will help catalyse commercially viable innovation as a complement to traditional conservation approaches to ensure EU forests achieve the optimal balance between their full environmental and economic potential, according to Director of Sustainable Land Use at EIT Climate-KIC, Daniel Zimmer. “Europe’s forests can and must play a bigger role in the fight against climate change. A more inclusive, productive and climate-resilient EU forestry sector can increase commercial returns for landowners, reinforce Europe’s bio-economy and displace unsustainable pressures on forests in other parts of the world,” Zimmer said. Climate-KIC is currently developing a multi-year strategy with its core partners. The new capacity-building programme to enhance climate-smart and sustainable forestry and develop wood value chains will be formally launched later in 2018. EU forests have a key role to play in tackling global climate change. Innovation in Europe’s forestry sector could double its current contributions global greenhouse gas mitigation. New conservation and sustainable commercial approaches must be combined with innovation in the circular economy. New business models are needed to integrate accounting methodologies and financial instruments for risk management. New traceability and transparency measures must be facilitated in the wood market to improve links between sustainable forestry management and downstream value creation. Substitution of fossil carbon with bio-based products, including wood construction should be boosted.